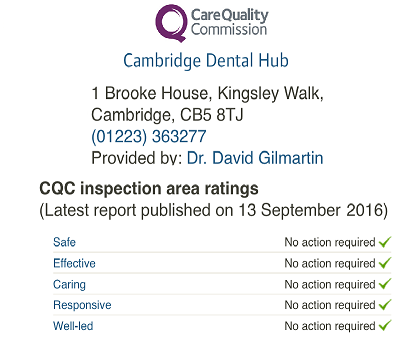 1e Brooke House, Kingsley Walk, Newmarket Road, Cambridge, CB5 8TJ. 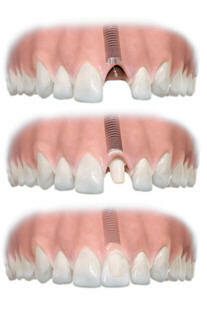 Single Tooth Implants are the most common treatments that we provide. Because every care is different we offer a full range of options and systems, and this allows us to offer a treatment plane based on the patients individual needs. Our charge for a single implant is £1850. This includes the cost of the restoration. The restoration is normally an All Ceramic (Non metallic) which means that the appearance is very good. We aim to be as transparent with our prices as we can, as try to avoid "From". If after your examination the fee is more than £1850 then we will explain the reasons on the plan: for example the patient may require a bone graft.